Privacy, one of the reasons which made some issues out of facebook but later fb got a lot of new settings for a user’s privacy. Now, a user has his control on almost everything in his profile, status, photos, albums etc. 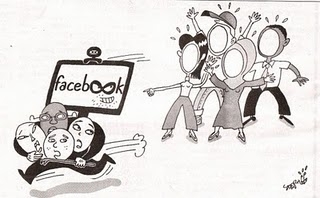 The user has the control of what he wants to share with everyone, friends, friends of friends etc. You can even manually hide a status from a single person or more. Did you know that you can even hide your friend list? If don’t then read on. If you don’t want strangers to see your friend list then you can just hide it from them. It is very easy. 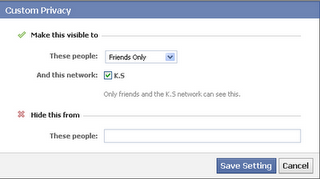 You can use the enhanced Facebook privacy settings to modify your friend list’s visibility based on your choice. Let me show you the step by step tutorial on how to hide Facebook friends list. 1.Log on to your Facebook account. 2.Click on the “Account” on the top right and then click the 4th option “Privacy Settings”. 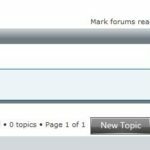 3.In the section “Connecting on Facebook” click “View Settings”. 4.You will see 7 options there. One of them would be “See your friend list” and there would be the options on how you can modify the visibility of your friend list. When you click that option at the right side, you can change it to other 3 options(Friends and Networks, Friends of Friends, Friends only). You can even customize the visibility manually. Facebook changing the look and feel of the Facebook in timely manner.So there will be some changes according to the facebook changes.However the overall content will be same and the some of the procedures may get changed. I hope you like my topic Hide Your Facebook Friend List From Strangers . I would like you to share your comments and feed backs using the below comment form.